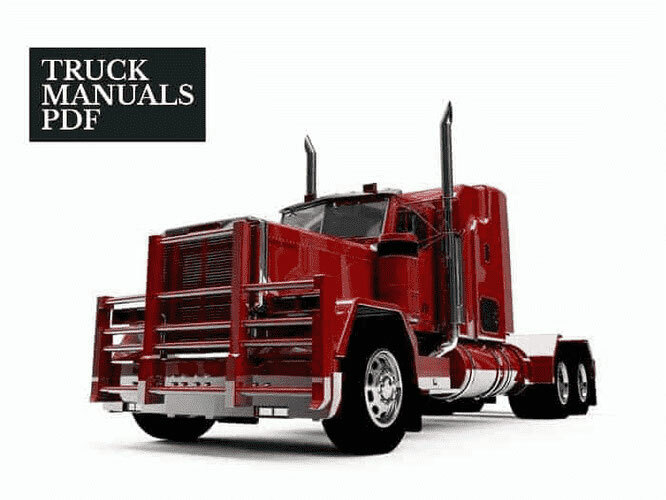 A WHITE Truck Operator Manual PDF is above this page. The company "White" was one of the most famous American manufacturers of trucks, with which not only dozens of small US firms, but also the largest Western European monopolies, have closely linked their destiny. Despite the fact that the brand "White" has not been used for a long time, the cars developed at this company have become the basis of the most advanced trucks of our time, and some models are still in production, but under different names. In 1859 Thomas Howard White, 1836-1914) opened in the town of Orange a mechanical workshop, which since 1866 produced household sewing machines. In the 1890s, after moving to Cleveland, Ohio, White expanded his business by starting bicycles and then lightweight steam engines. His four sons, (Thomas, Rollin, Walter and Windsor), carried away with fashionable cars then, in 1900 built the first car steam engine "White-A". Since then, the profile of "White" was determined by steam cars, which had a huge success at first. The next year on the chassis "B" were built delivery vans Steam Delivery Wagon. carrying capacity of 250 kg with the steering lever. They were followed by 10-strong steamers for 500 kg, as well as 3- and 5-ton trucks capable of 160 km without refueling. The crises of the early 1970s, as well as new demands for the economy and safety of trucks, made White take an active part in improving its entire range. Adopted for 1975-78 years. the program of "rejuvenation" of cars and production technology required the investment of huge funds and weakened the position of the "Big Four". The first result in 1975 was the main roadless tractor "Road Commander-2" with engines up to 450 hp. For road trains with a gross weight of up to 56.7 tons. A year later the "Forwarder-2" chassis followed with a short or multi-seat tilting cab. In 1977, a hood "Road Boss-2" was created with a cabin with a bed size of 90x210 cm and a "BBC" parameter equal to 2920 mm. For its release in New River Valley, Virginia, a new plant was built. Despite all the efforts and costs, the production of the "Big Four", which produced up to 30 thousand cars a year, began to decline sharply. As quickly began to disintegrate, and the "Quartet", which lost in the 70's. Freightliner and Euclid. In the early 80's. between large automobile monopolies the struggle for the company "White" and the remaining company "Otokar" broke out. In the summer of 1981, for $ 75 million, it was purchased by the Swedish Volvo corporation, which formed August 31, 1981, the Volvo White Truck Corporation. At the same time, the former "quartet" lost its American branch Western Star, which transferred all production to Canada. Having invested huge sums in the reanimation of White, Volvo helped to modernize most of its former cars, the radiators of which had an inclined distinctive strip - the symbol of Volvo. Based on the classic bonnet series "Road Boss" in 1983-84. Super Boss, Super Boss-2, Conventional Integral Sleeper, Conventional Tall Sleeper and Extended Sleeper variants were created, which differed mainly in the size of the cabins and sleeping compartments with the "BBC" parameter within 2860-4230 mm. In 1987, the Conventional Aero hooded tractor received a streamlined cab, tail and a sleeping compartment that Volvo began to implement on all of its hood series. The caravan trunk tractor "Road Commander", having received an even larger sleeping cabin, began to be called High Cabover. The modernization of the "Forwarder" series, conducted in 1985-86, led to the creation of a special low-frame chassis for public services. Since October 1987, all cars "White" were equipped with engines, gearboxes and bridges of the American branch of the company "Volvo". Since January 1, 1988, after a two-year deal with Volvo's General Motors cargo department, a new company, the Volvo-GM Heavy Truck Corporation, was created, with the name "White" no longer available, but all the cargoes produced in the next 7 years cars and tractors wore the WhiteGMC brand. When, in 1995, the brand was replaced with Volvo, the only continuer of White's ideas was the repeatedly upgraded low-frame chassis "Forwarder".